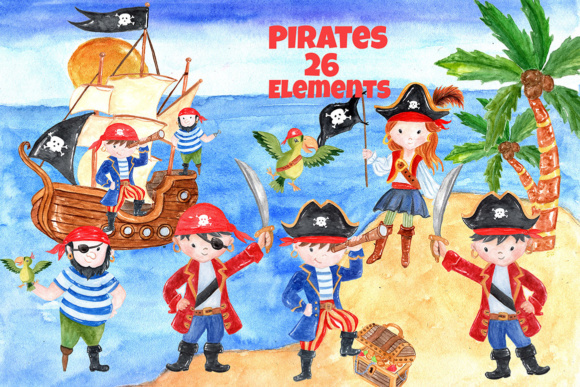 This watercolor Little pirates collection is perfect for your design project, invitations, scrapbooking, websites, blogs. cards, greeting cards, party decorations and etc. 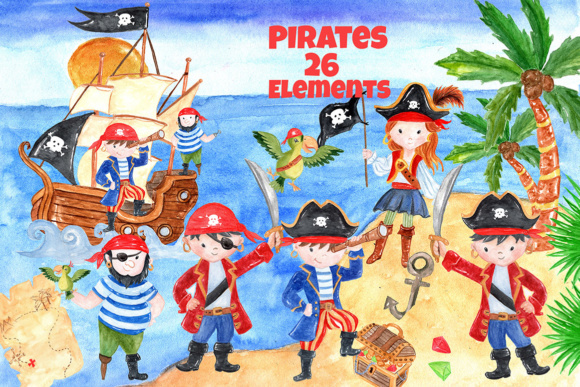 26 hand painted elements in PNG (transparent background) in high quality 300dpi resolution. 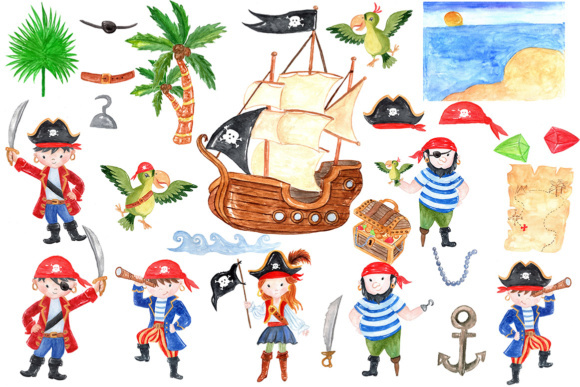 Other pirate-related design elements, such as jewels, palm trees, hooks, anchor and more.